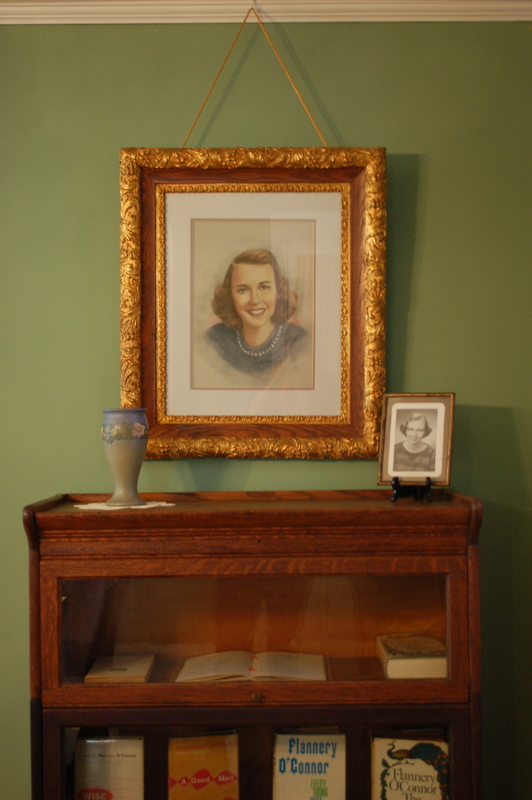 My first day in Savannah, Ga., we visited the childhood home of the acclaimed Southern Gothic writer (Mary) Flannery O’Connor. I have only read two of Flannery O’Connor’s short stories, which I admit I read upon hearing I was going to visit her house. I read “The Geranium” and “The Barber” as well as the thorough introduction to “Flannery O’Connor: The Complete Short Stories.” I have quite a bit more to read though. 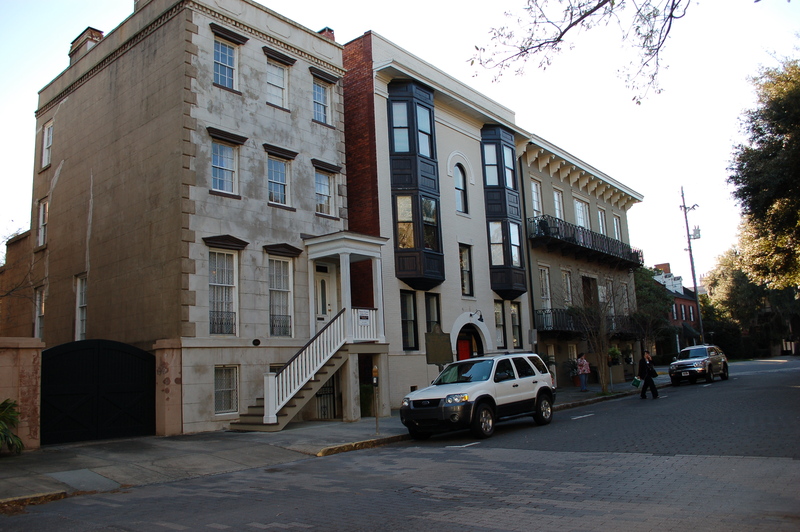 The house (left) was built in 1856 and Flannery’s cousin Kate purchased the house in 1910. When Kate bought the house, it was only a mere 40 feet deep, and in 1916, she added on to the back of the house. 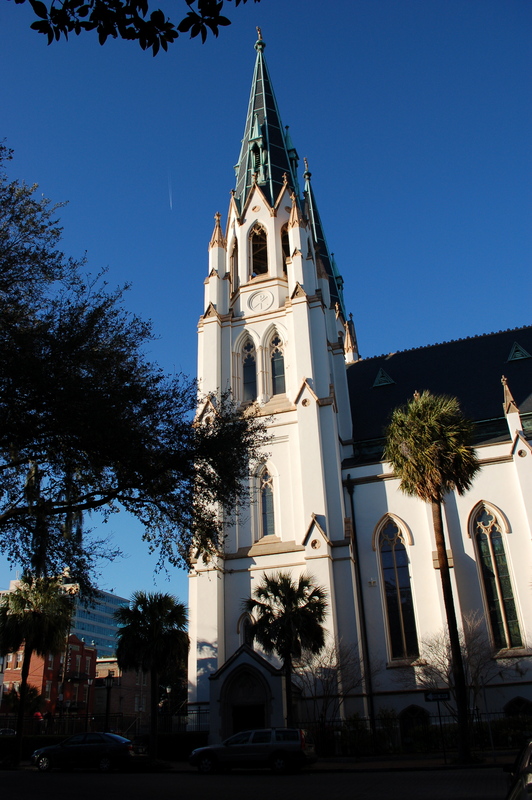 Mary Flannery was born in 1925 and was baptized at the Cathedral of St. John the Baptist, across the square from her home. She was raised in a strict Catholic setting and went to girls grammar school across the square from her house as well. Our tour guide and the house manager said that Mary Flannery was a very precocious child and that she didn’t like attending the children’s mass, so instead would attend mass with the adults. This is a picture of Mary Flannery when she was 3 years old. As you can tell from the picture, she seemed very serious even as a child. When Mary Flannery was 6 years old, Kate gave her chickens. Mary Flannery taught them how to walk backwards. The Pathe News heard about her backwards walking chickens and drove down to Savannah to film her with the birds. The short film was called, “Do You Reverse?” Later in life, Flannery said that day when she was filmed with her chickens at the age of 6 was the high point of her life and since then, it had all gone downhill. This was the beginning of Mary Flannery’s love for birds. This is a picture of Mary Flannery as an adult. 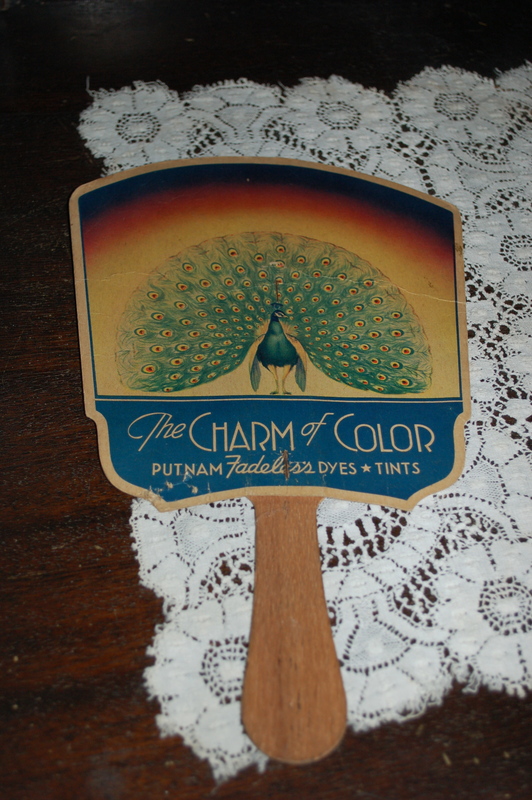 It hangs in the dining room of her childhood home. Later in life, her face looked more skeletal after battling lupus. 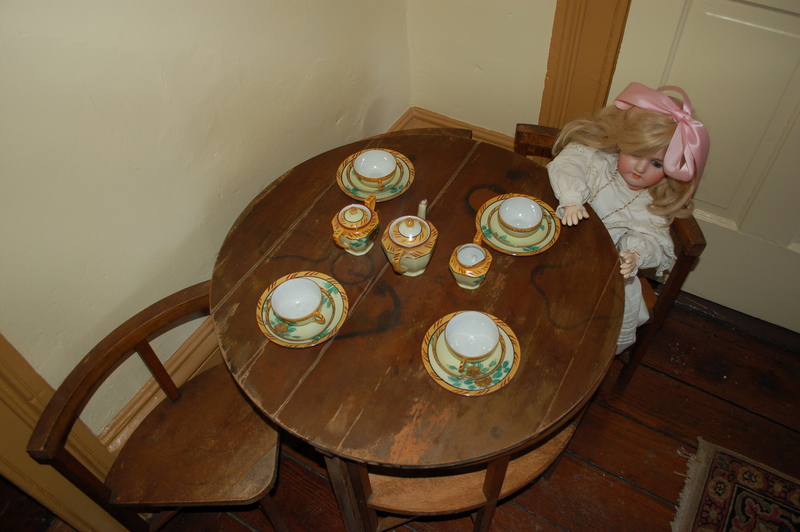 Mary Flannery’s childhood bedroom. Mary Flannery used to read the kids in her neighborhood “Grimm’s Fairy Tires.” She terrified the neighborhood children with the stories, scaring them away so they’d never come back. The kids who grew up with Mary Flannery described her as a “different” kind of girl. 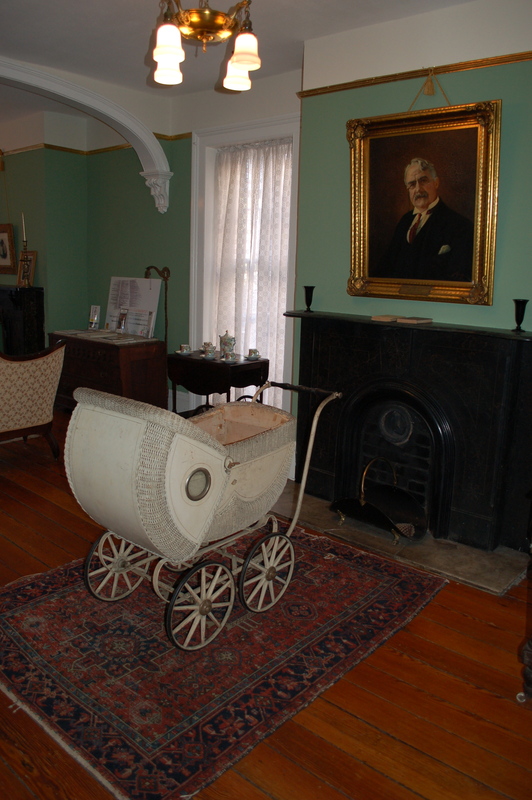 This is the parlor of the O’Connor’s home. 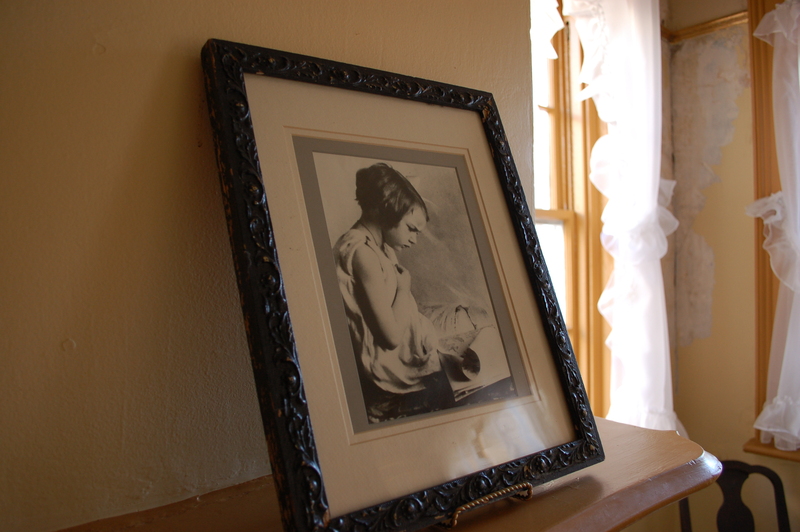 The picture over the fireplace is of her father, Edward O’Connor. Edward died of lupus in 1941 when Mary Flannery was 15 years old. Mary Flannery got her storytelling from her dad and said that when she sat down to write a story, she felt as though she was writing for the two of them. 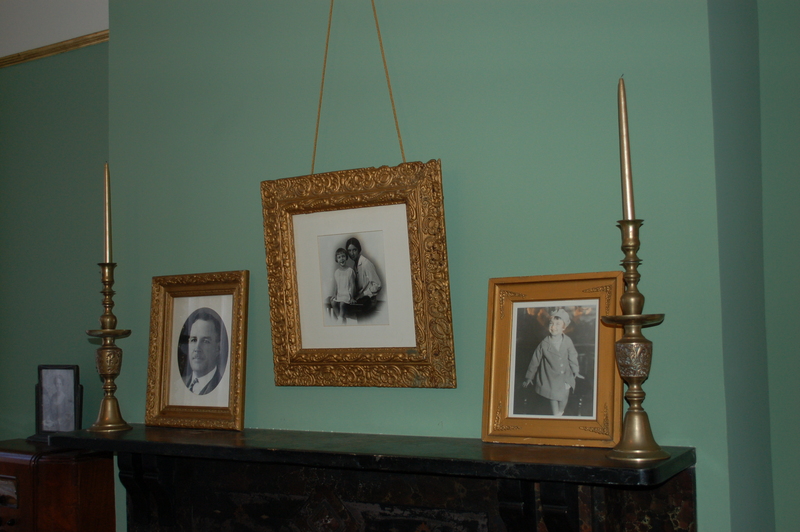 The mantle in the parlor with pictures of the O’Connors. Edward on the left, Mary Flannery and her mother, Regina, in the middle, and Mary Flannery on the right.